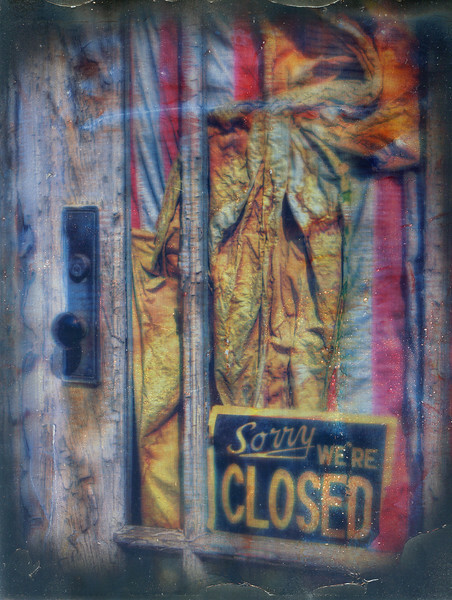 "We Are Closed" -- I took this image in Pocahontas, Virginia during one of my trips to the community. I processed the image into a HDR (High Dynamic Range) print and really liked it. I wanted to go further with the image so I did an image transfer onto tin using the Inkaid transfer process.